GraceConnect » Conference Over. People Gone. Work Resumes. Conference Over. People Gone. Work Resumes. 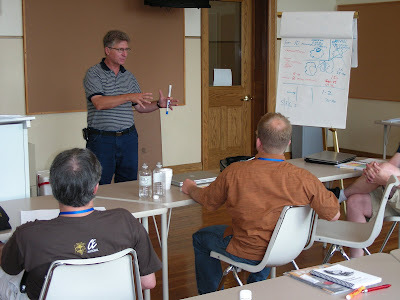 This year’s annual conference of the Fellowship of Grace Brethren Churches, held on the campus of Grace College & Seminary in Winona Lake, Indiana, was July 29-August 3, 2007. By all accounts the conference was successful. With weather that was warm and cooperative, a wide range of events occurred for adults and children, all geared toward encouraging lifelong learning. Next year’s conference returns to the “Celebrate” format and will be held at the Innisbrook Golf Resort near Tampa, Florida, the dates of July 26-31, 2008. Information and registration will become available at http://www.fgbc.org/.